This breed is one of the strongest dogs on the planet! They are plain and simple huge muscle machines. Years ago in Germany the breed was used as work dogs that pulled carts and other heavy equipment. They are a popular breed in the U.S. but more frequently owned as house pets, guard dogs and police work animals. The breed can be happy in a wide variety of environments as long as the dog is exercised. Rottweilers never get tired and can keep on going for hours without rest. This breed is good with children and protective of their family. This is one breed of dog you do not want to make eye contact with! Making eye contact with any dog indicates that you are a potential threat. More so with the Rottweiler! If you do make eye contact with this breed they will go after you! I have proved this to owners when they have their dog on a choker. They don’t believe it until they see it! They can be sort of head shy not wanting their necks handled or given vaccines in that area. Be careful when deciding to own a Rottweiler. When the animal is young, dedicate as much time as possible to obedience training and socializing with other people. In the hands of the wrong person, a Rottweiler can be a lethal weapon. The amount of force in its jaw is tremendous. Learn more about the Rottweiler at Animal Planet’s® Dog Breed Selector. Each Rottweiler is an individual and there are exceptions to the previous rules. On my daily 4 miles walks, I pass by “Troy” a huge Rottweiler that is more content chasing a ball than bothering people. 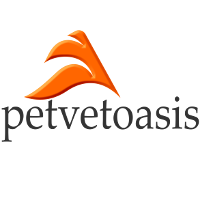 The major medical issue with the breed is that it and the Doberman are the top breeds of dogs that get Parvo Virus; a debilitating intestinal disease in canines. The average litter size is about 10-12 pups and I have treated the entire “herd” for Parvo Virus! 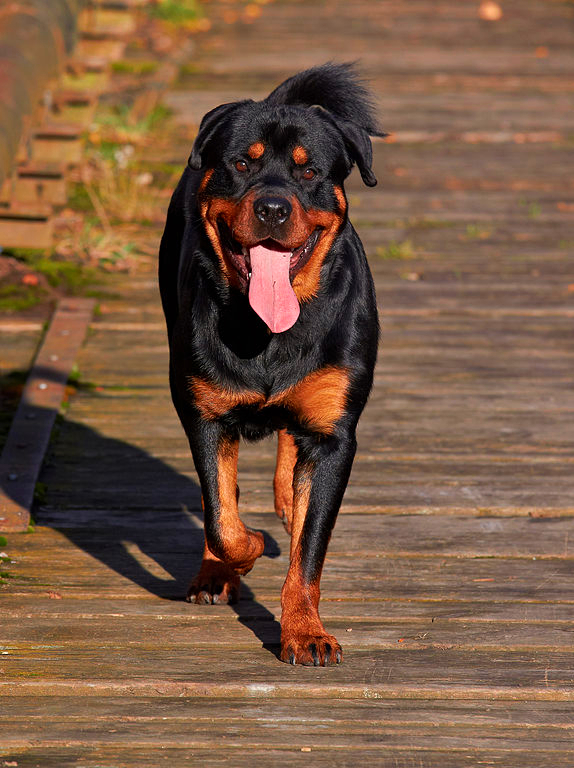 Large dogs, like the Rottweiler, are also prone to bone and cartilage cancers. The Rottweiler is a loyal dog that needs a lot of attention.